End of the year Teacher Truths - Because What We Do Matters! It's that time of year again. 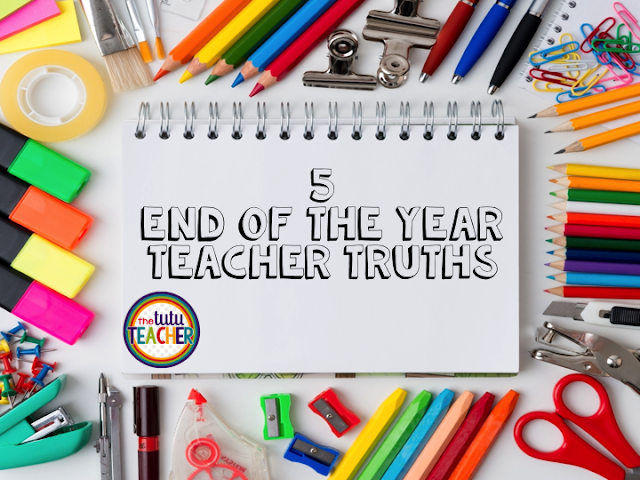 Time for our teacher truths. 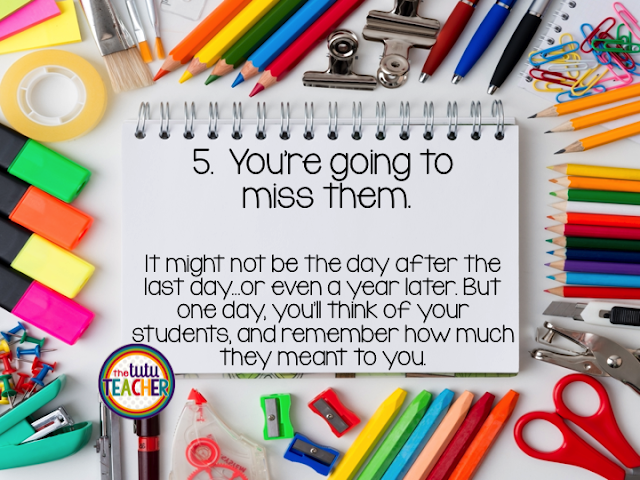 I know many of you are a few days away from saying goodbye to your students. Some of you have already said your goodbyes. I still have 16 days left and we are in the midst of assessments...but all I can think about is that last week of chaos. It's so overwhelming and emotionally draining for both us and the kids. And every year I try to remember that I will be exhausted, frustrated and short tempered, and every year I forget. I let the stress of the time of year get to me and I forget to enjoy each moment with my kiddos. It's the last time we will be together...we need to make the most of it! So I made a short list of 5 teacher truths to remember when the end of the school year rolls around. I'm going to place a copy of these in my Erin Condren planner so it's front and center when June comes. I'm a super positive and cheerful person...but teaching is tough and tiring and exhausting and we have every right to feel tired. It means you've worked hard. Well, you might not have taught the Pythagorean theorem to your primary kiddos but still..
You have taught them so much. And I know it seems so hard when you're running a small group with struggling readers and they are working so hard just to read the word, "the". But you keep at it. And they keep at it. Then suddenly, the lightbulb goes off, and those little strugglers are reading. It might be one of the best moments in teaching. But it's the end of the year, and while you've seen some major growth (academically or behaviorally) in some students. You might not have noticed much of a change in others. Now, in no way am I saying you gave up or should give up on those "tougher" kiddos. I am saying that it is important to be realistic about what we do. but you don't stop trying either. They don't always say it or show it. But they do. Just different ways to say, "I love you teacher." You are all exhausted and are in need of a much deserved break. You will think about one of your kiddos one day and remember their lightbulb moment...and a smile will creep over your face. Or you'll get interrupted during a read aloud and it will remind you of the kiddo who interrupted you ALL THE TIME...because he just wanted to learn everything you could teach him. And they'll miss you too. I hope you have a great end to your school year. These truths are spot on and so important to remember during this chaotic time of year! Amidst the hustle and bustle, we need to take a moment to remember these things. Thank you for helping to mellow us all out during the end of the year wind down! This post has made my day! 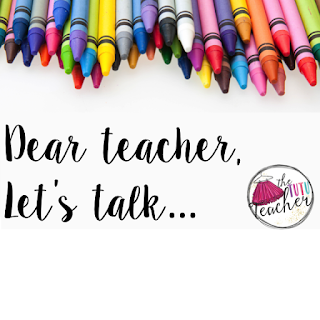 I still LOVE this post...I think I may need to print it to remind myself next year when the wild ride of Kindergarten begins again!